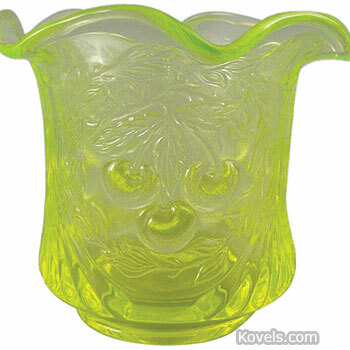 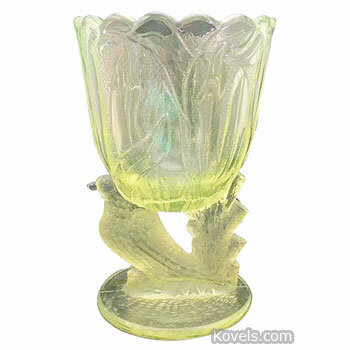 Vaseline glass is a greenish-yellow glassware resembling petroleum jelly. 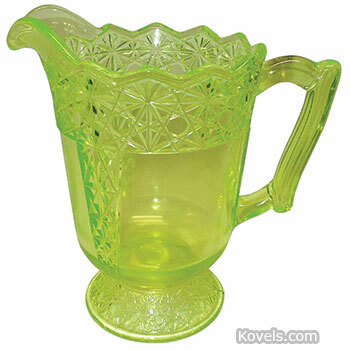 The glass fluoresces under ultraviolet light. 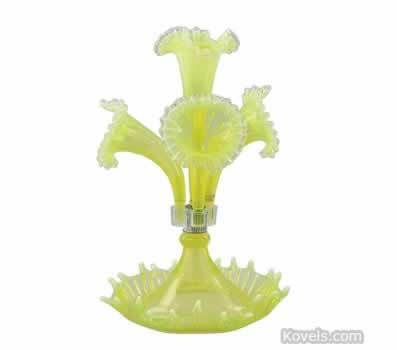 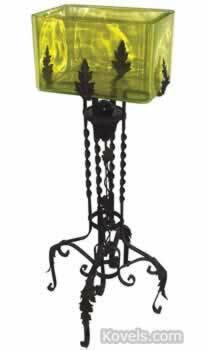 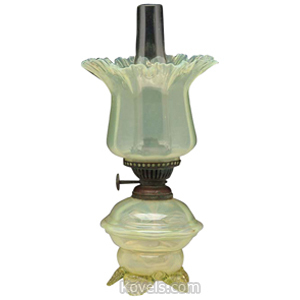 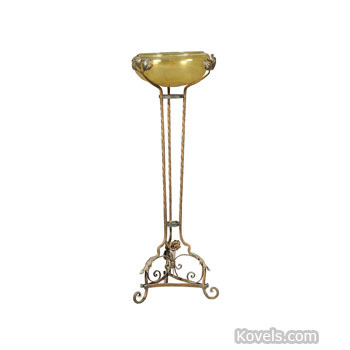 Some vaseline glass is still being made in old and new styles. 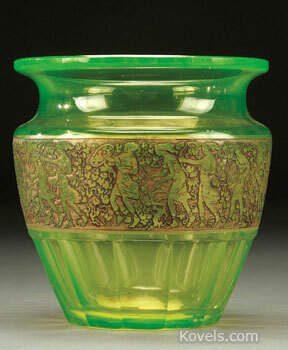 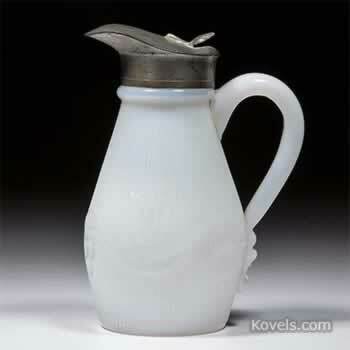 Pressed glass of the 1870s was often made of vaseline-colored glass. 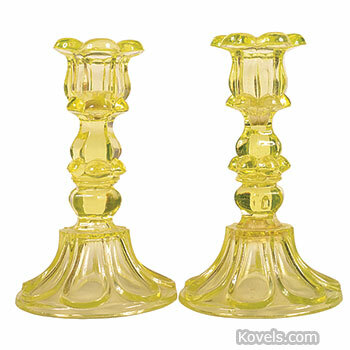 The name vaseline glass was not used by the original markers of the glass because Vaseline Petroleum Jelly was not patented until 1878. 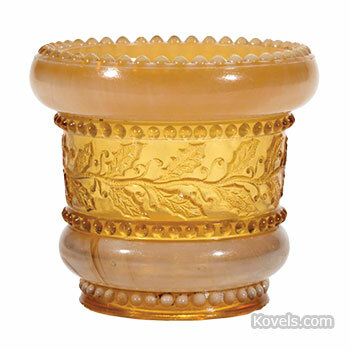 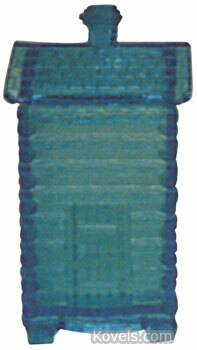 Additional pieces of vaseline glass may also be listed under Pressed Glass.